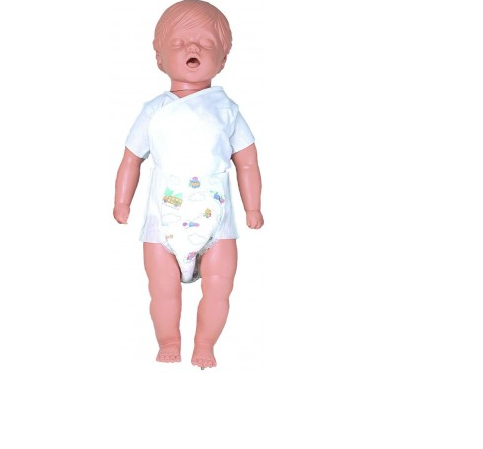 This simulated 9-month-old infant CPR manikin can be filled with water to approximate the same weight and "feel" a real child. 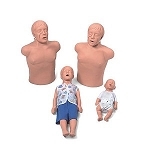 Realistic rise and fall of the chest is provided when air enters under the chest overlay. 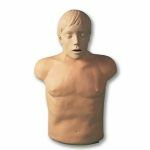 Each torso features lifelike rib cage, sternum, xiphoid process, and suprasternal notch to help train effective compression technique. 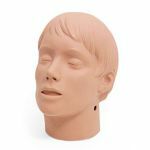 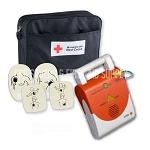 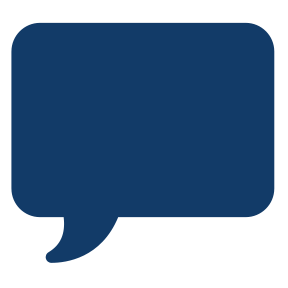 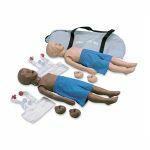 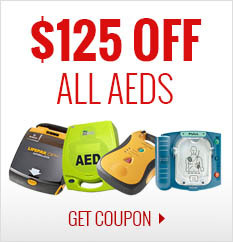 The manikin is designed to sink when filled with water and placed in a pool, and are ideal for water rescue and in-water CPR practice. 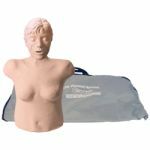 The manikin is ruggedly designed for effective flow-through cleaning and sanitizing without disassembly. 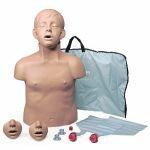 Each dressed manikin is shipped in a rugged nylon carrying bag with 12 disposable lungs.